MAGNUM® threw its most lavish party yet to celebrate 25 Years of Pleasure at Avalon. It was a sinful night of chocolate decadence. MAGNUM with its signature pairing of chocolate and ice cream for perfect pleasure wowed us off our feet right from the invitation pack! 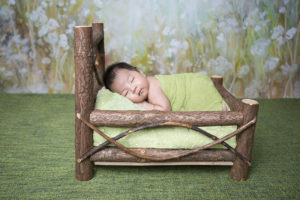 And check out what went down at the event! Drinks for the night: Specially customised cocktails were served. 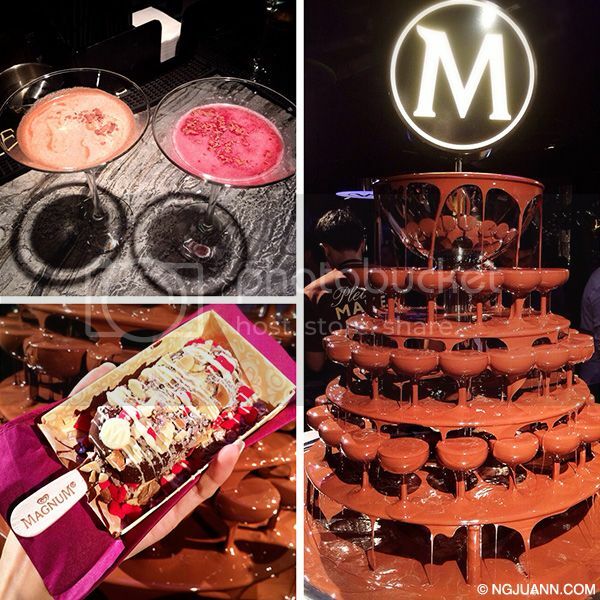 Singapore’s Largest Chocolate Fountain: Standing at more than 1m tall, over 100kg of chocolate flowed through the fountain to provide guests with the decadent experience of creating their own MAGNUM ice cream. Make My MAGNUM: The magnum I customised was super duper nice. The staff dipped a plain, uncoated magnum into the large chocolate foundation and allowed me to choose up to 3 additional toppings to my Magnum. I choose pixie dust, red candy hearts and almond flakes. You should try this combination. It is super nice, plus a freshly coated MAGNUM simply tastes better. 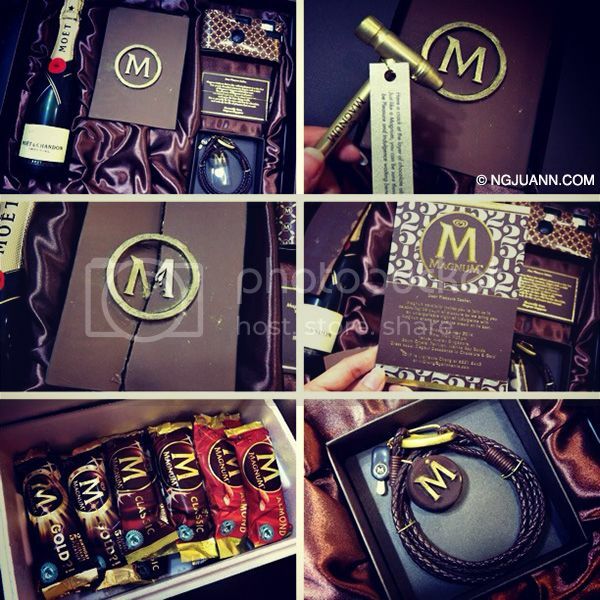 BIG LOVE to the brand and all the pleasure I get from eating MAGNUM! 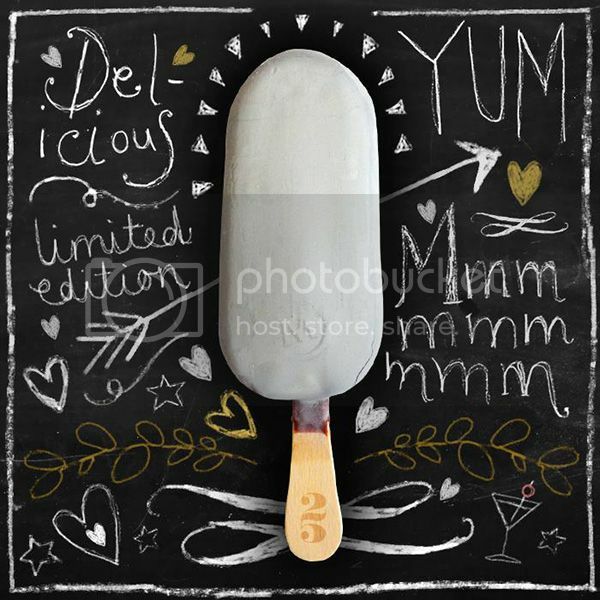 To top off the birthday celebrations, MAGNUM launched its Limited Edition with Marc de Champagne with swirls of delicious Marc de Champagne-flavoured sauce weaved through white Marc de Champagne ice cream, encased in a silvery finish. I can’t wait to taste this! 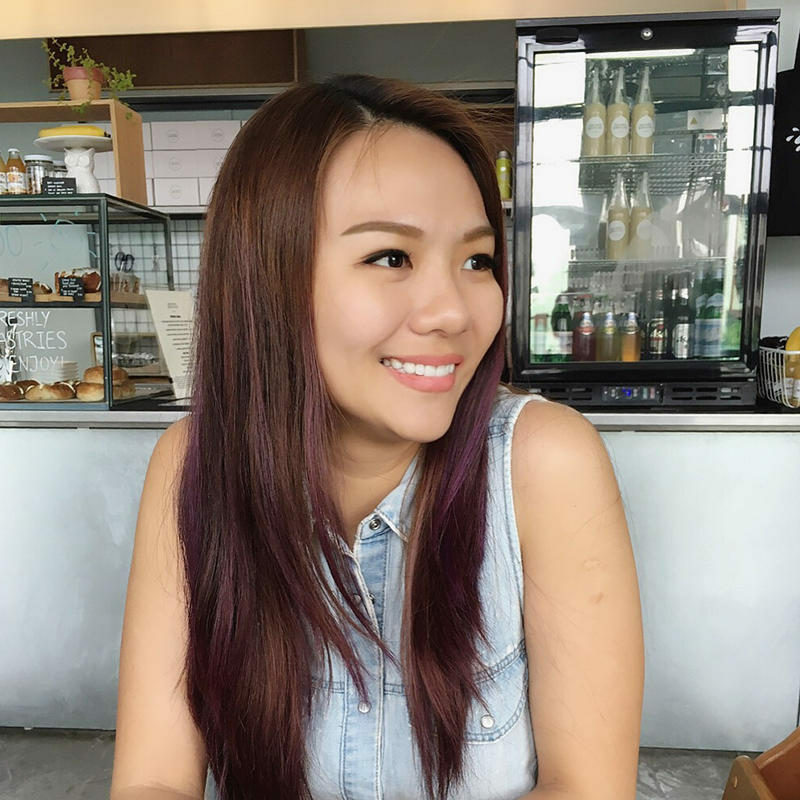 Magnum fans would be pleased to know that the new and final installation of MAGNUM Singapore Pleasure Store at Customs House Terrace will be opened to all Pleasure Seekers till 23 July 2014, from 12pm to 10.30pm daily. 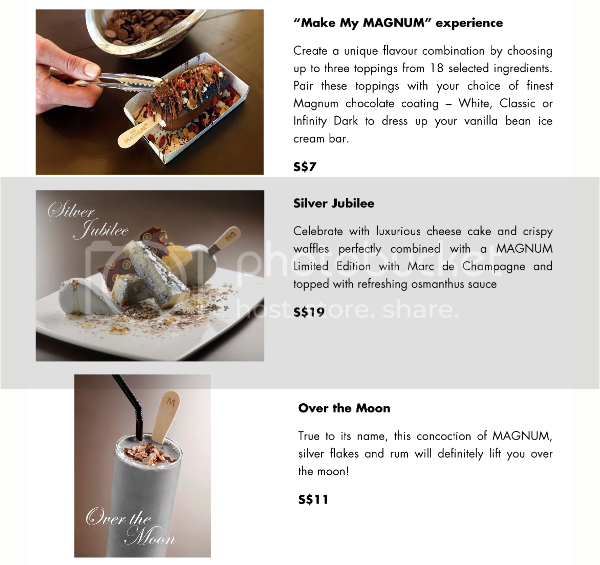 Do visit the pleasure store and try out the new silver jubilee dessert and Over the Moon cocktail.